It wasn't until I started Body Back last year that I could run a mile. The strength and endurance I gained from Body Back inspired me to sign up for my first 5k which was a STRUGGLE. It was definitely a walk/jog. After Body Back I occasionally ran three miles but mostly around one. When Fit4Mom Louisville announced the first session of Run Club, I couldn't wait to join!!!! I found out I was pregnant shortly after signing up. My goals were to run an 8 or 9 minute mile and run my first 10k. I crushed them both with no walking thanks to support from our awesome coach. I wanted to sign up for the Papa John 10 miler this spring but at that point I was going to be pretty far along in my pregnancy so I decided against it. Instead, I opted to take on the 5k portion of the Derby Mini Marathon Relay instead. 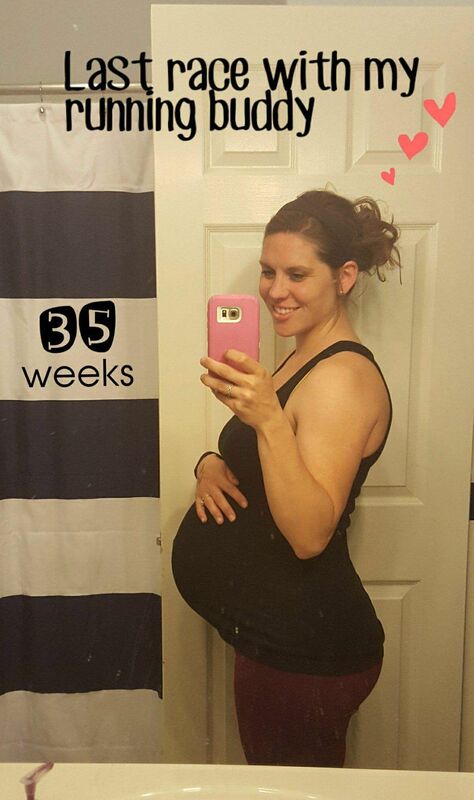 Between running and Fit4Baby, I have felt a lot less fatigued than I did with my first pregnancy. This time around I have also been in school, work, and chasing around an almost 2 year old so it’s funny to think that I have more energy! Fit4Baby helped me keep up with my strength workouts once I could no longer do the BOOST workouts. It was great to workout with other pregnant women. It was nice not having to worry about asking for modifications due to being pregnant. I knew it was all safe and I could control my intensity. I'm so thankful for all the Fit4Mom programs that support all stages of mommahood. We are so proud of all of your accomplishments, Brittany! Our Village is lucky to have you.